Riding a bike is something that I have done for as long as I can remember. Freiburg and the surrounding area is not just great for road biking, but mountain biking, too. In 2003 I bought a Cube mountain bike from Frank. We have two very popular downhill stretches at Rosskopf and Kubfelsen, which are both right next to the city. I often ride these before work in the Summer. There is a large mountain bike community here in Freiburg, Mountainbike Freiburg e.V., which is no surprise given the sheer number of great routes that are available here in the surrounding Black Forest. 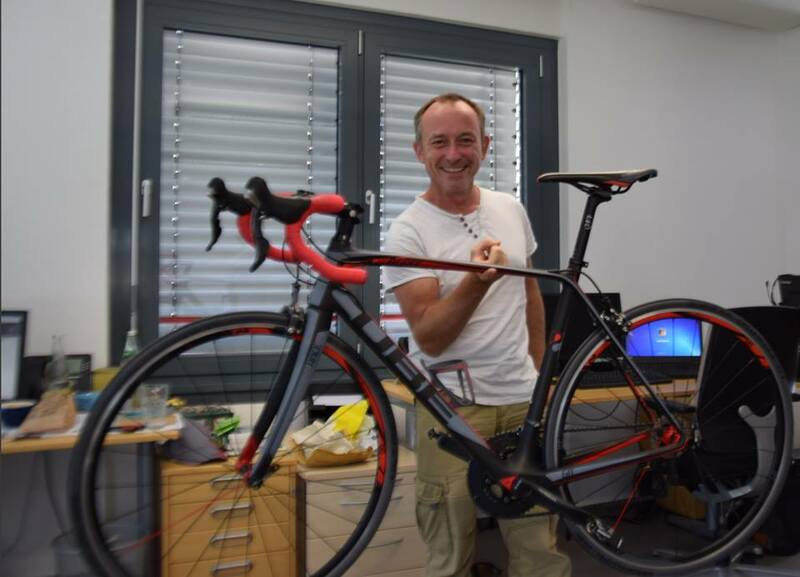 Last year, 2015, I upgraded my Cube Pelton to a Cube Agree GTC Carbon Black n’ Red. I haven’t had the chance to ride it yet, and I can’t wait for the weather to get better. A guy I work with, Dennis, is a keen cyclist, too. In the Summer we often go for a quick spin in the nearby Black Forest during the lunch break. He is the creator and author of Cycling the Alps, which has won an award from Google.